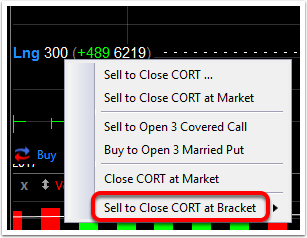 From any position, either a stop, trailing stop or a profit target order can be attached. 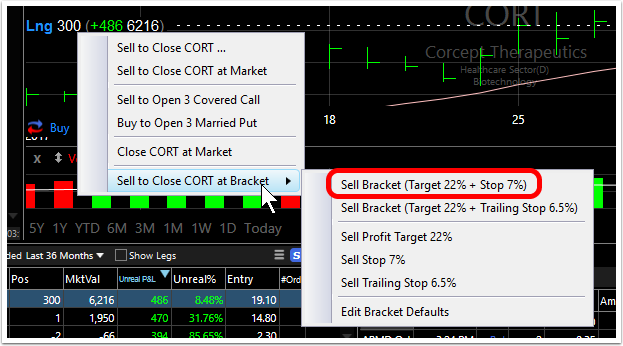 A bracket order of a stop (or trailing stop) and a profit target can also be attached. Here are steps to attaching the orders. This example uses a long position. A short position can also be used. This places an order confirmation on the screen containing the 2 sell orders (bracket) already placed in an OCA (One cancels all) group. 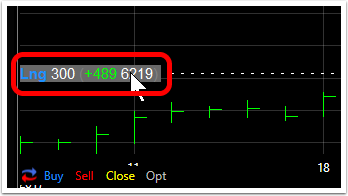 The stop and profit target orders are on the chart. The green dots indicate the two orders are in an OCA (One cancels all) group.